Women's custom text aprons make a great gift for moms, grandmas, and any baking or cooking lover! 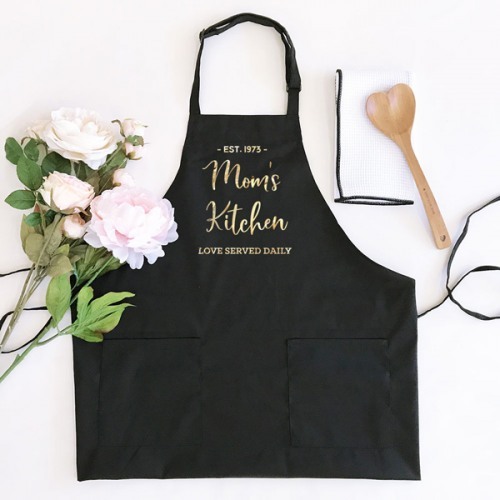 Each apron comes in your choice of white or black and comes with and adjustable neck strap, two pockets, and is personalized with the text of your choice. Choose to add a beautiful polka dot pattern in the same text color option chosen.